Balans Soho Society are known for their cocktails, burgers and good times. du Boulay are proud to assist Balans in developing & honing the latest Balans restaurant and bar in the busy Cardinal Walk in Victoria. The team received a stripped out unit where we begun the enabling works which included leak detection and bunding of wet areas. Careful co-ordination was required to ensure the incoming services were suitable and would achieve the rigorous requirements demanded by the new Balans restaurant. 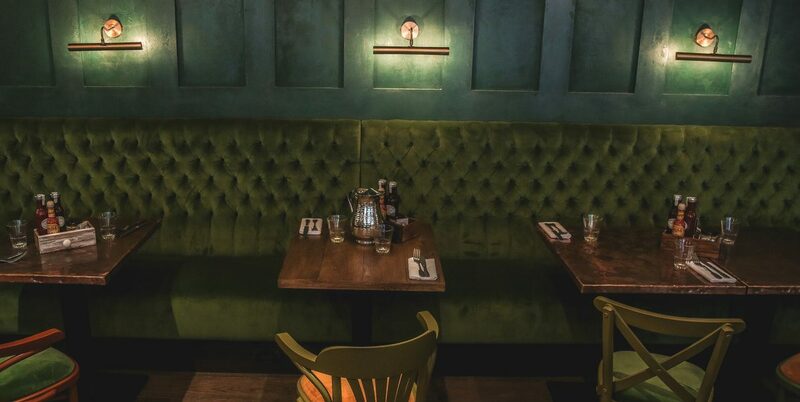 The front of house is a warm and inviting space, low lights and booth seats create intimate spaces for small groups and earthy tones, textured paint to the walls and reclaimed oak flooring give the space real character. 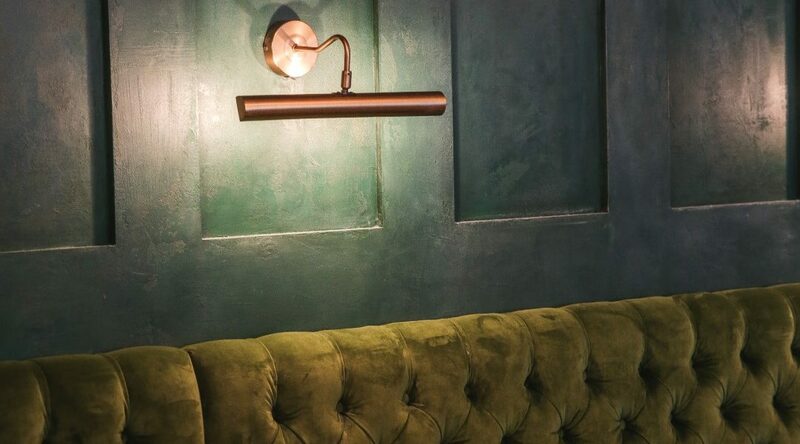 A large horse-shoe shaped bar is the centre of attention in the restaurant, with deep green tiles to the face and a distressed brass counter top. We also manufactured and installed a large over bar full of spirits to provide some real depth and theatre to the bar area.